Noise nuisance is a widely underestimated problem today, but one which affects most of us. Noise actually has a host of harmful effects on health and produces physiological effects on our bodies, such as: stress, sleep disorders, etc. Carpet can offer a real solution to noise problems. You would need 60cm-thick flooring to match the insulating effect of carpets. Balsan carpets offer a double advantage in the relentless fight against noise pollution: a reduction in noises caused by impact (footsteps, collisions, etc.) and absorption of airborne sounds (conversations, ringtones, any noise which travels through the air). 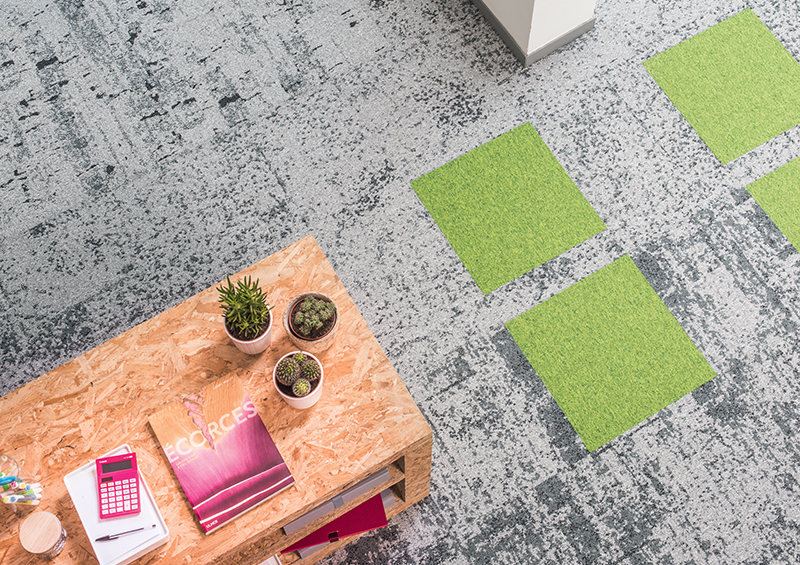 Balsan combines sound insulation and respect for the environment with its acoustic backing. This highly efficient insulating felt is made almost entirely of recycled materials. 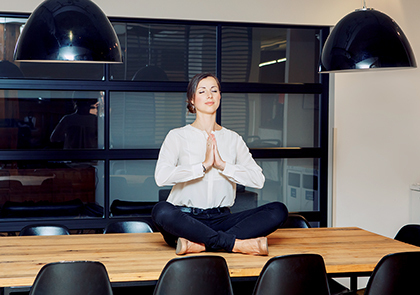 It is particularly recommended for open-plan business premises, offering a more peaceful work setting. SONIC CONFORT (SC) : available on 27 products across a number of our collections. Manufacture on demand from 200m² on the other references. 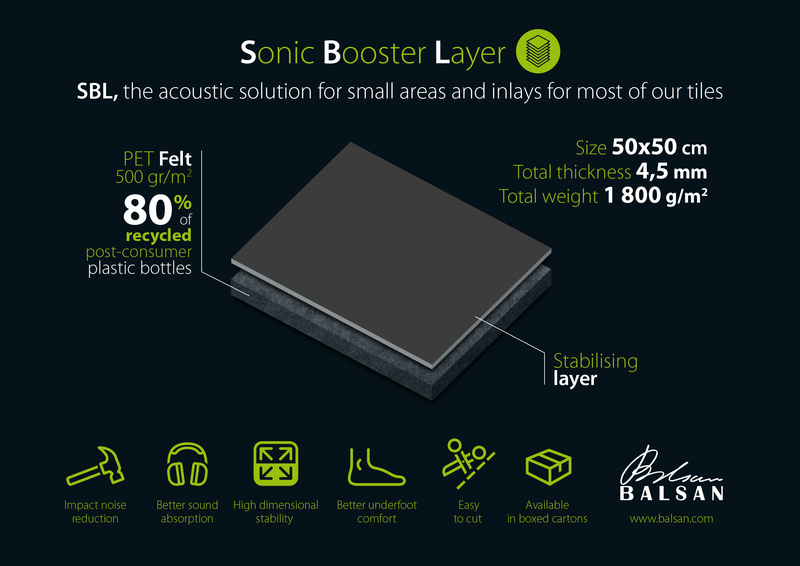 SONIC BOOSTER LAYER (SBL) : Thanks to Sonic Booster Layer, mix and match standard Sonic Confort products with Balsan’s classic tiles! 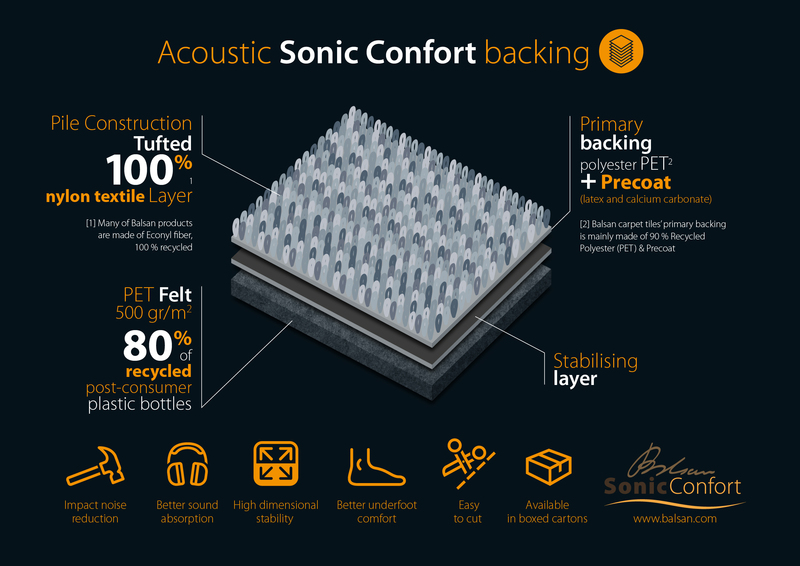 Say goodbye to uneven floors, and hello to even flooring with optimum acoustic performance.